Ever since I decided to up my skincare regime, I’ve always had a facial oil on rotation. Unlike creams and serums, there is something that is all the more luxurious and sensuous about using a facial oil. But admittedly I tend to stick to brands I know and love; organic skincare, let alone an organic facial oil hasn’t really been a specific preference. Until now that is. 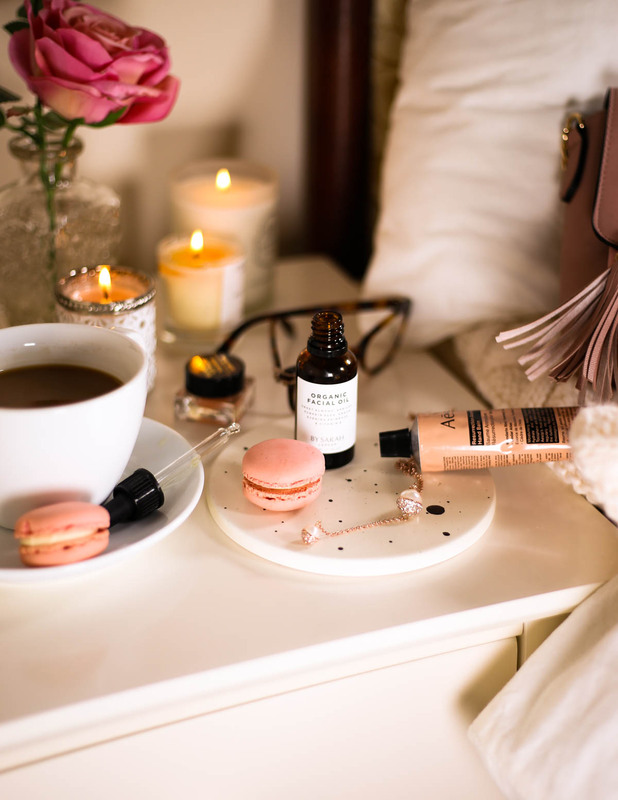 I’ve noticed that rather than making those blind beauty purchases that may have served me well in the past, I’m becoming increasingly beauty-conscious and more than ever there’s a desire to go back to basics. It’s so refreshing therefore to have come across BY SARAH, a brand that has most certainly got a clear mission. Motivated by a desire to make it easy to understand what you are putting on your skin, the founder, Sarah, first began her skincare line when her sister Lauren was recovering from leukaemia and as a result had extra sensitive skin. 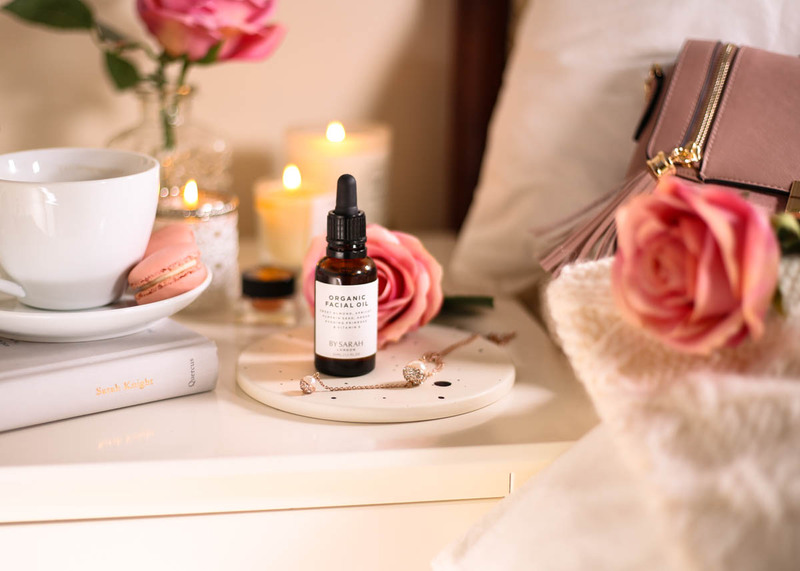 However, unable to work out exactly what was in many skincare products, Sarah decided to hand-blend her own products using natural and organic ingredients – the finest of these blends became BY SARAH. Passionate about clarity and transparency, BY SARAH is pioneering up-front labelling so there is very much a “what you see is what you get approach.” Only the highest quality and ethically sourced ingredients are used, which are clearly listed on the front, the products are cruelty-free and all with a conscious design in mind. I have had the pleasure to review the Organic Facial Oil * and I have to say I am converted. Sweet Almond Oil, which softens and nourishes; Apricot Oil for its high vitamin content; Pumpkin Seed Oil to lift and boost the skin; Evening Primrose Oil to penetrate deep into the skin for extra suppleness and Argan Oil, its omega and fatty acid content leaving the skin silky smooth, whilst Vitamin E is a great anti-oxidant. That’s it – pure and simple with no added preservatives, chemicals or fragrance. What’s more, BY SARAH source their natural and certified-organic ingredients from all over the world so you know you are getting the best of the best. All it requires is 3 drops on the back of my hands which I then gently press into my cheeks, forehead and chin using my fingertips. Then I massage it in using gentle upward strokes. Contrary to what I would have thought, this Organic Facial Oil works better used on damp skin, the oil absorbing much better that way. Also, a swipe over the lips and tapping it around the under-eye area keeps my skin hydrated all over. The recommendation is to use this both morning and night and in place of your normal moisturiser. This left me a little apprehensive for the day time but it actually works wonders and makes sense since consistency is key. The results are instantaneous. 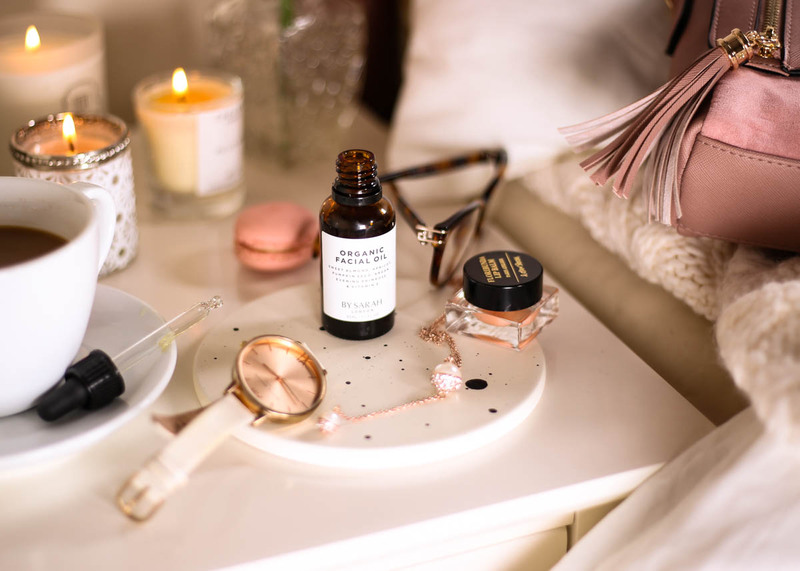 I have noticed a visible brightness to my skin and although it may sound strange, it is the kind of product where you feel like you are feeding your skin, as opposed to just using something for the sake of it. No matter how much I use, this Organic Facial Oil absorbs into my skin with ease. With no greasy residue, I have no hesitation in wearing it in place of my moisturiser and under my makeup. Rather, it serves well as a primer too, creating a smooth, plump canvas for makeup application and leaves my skin hydrated all day. In addition, at night it fits in with my self-care routine, where I like to take the extra time to massage it in, almost like a mini facial. Housed in an amber glass bottle to help preserve the ingredients, there is a clean, urban vibe to the packaging which I absolutely adore. The packaging and design perfectly reflects the simplicity and purity of the brand, giving it a universal appeal. Indeed, that is the intention since the Organic Facial Oil, like the rest of the range, is fragrance-free, making it suitable for both men and women. 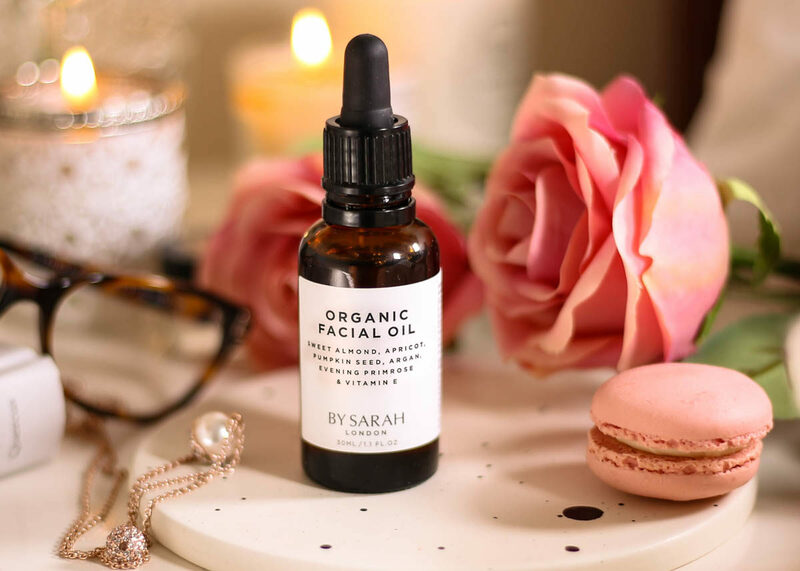 Aside from the noticeable skincare benefits I have experienced from using the BY SARAH Organic Facial Oil, the story behind the brand, the up-front labelling and the clear mission reflects that this is a genuine, relatable and honest brand. To me, these are now just as important factors when making my purchases. I highly recommend trying this out and I can’t wait to purchase their Organic Body Oil and Organic Lip Balm, which are now at the top of my wishlist. * the product featured in this post is PR / Gifted. Opinions are always my own.